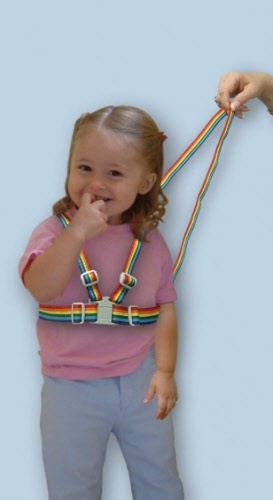 Made by Dream Baby, this safety harness and reins will help keep toddlers secure. 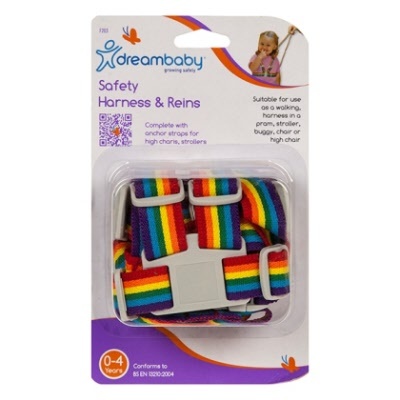 It has an adjustable walking rein and two adjustable anchor straps which can secure it to high chairs, strollers and even seats if necessary. 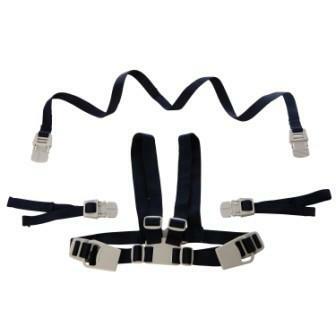 waist belt - 30cm to 70cm. anchoring straps - 10cm to 25cm. 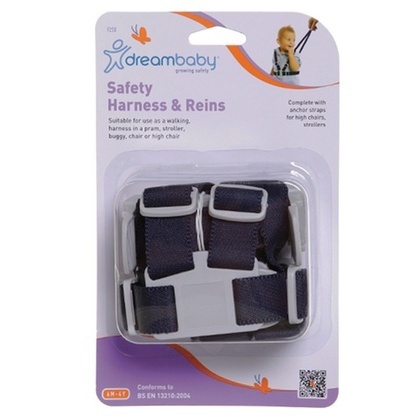 Compact and light - the Dreambaby Safety Harness and Reins is great for travel in busy places.